Rhinos, polar bears and gorillas are all endangered species thanks to hunting and the destruction of their natural habitats. So what better way to bring attention to these vanishing animals than through Endangered Species Erasers, that like the real thing (if we can’t put a stop to it), will whittle down to mere nothingness? 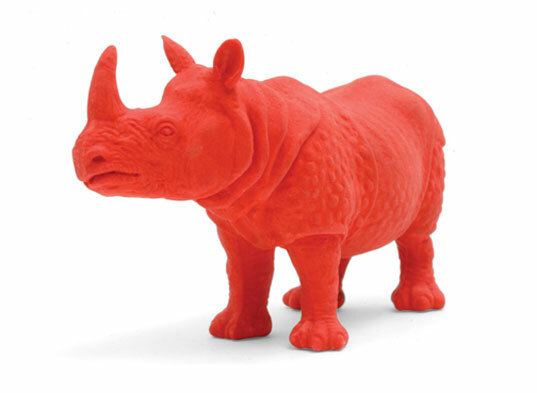 Though, many kids will probably choose to play with these over-sized 2-inch tall erasers more like animal action figures than school supplies, keeping the true-to-form species in tact. 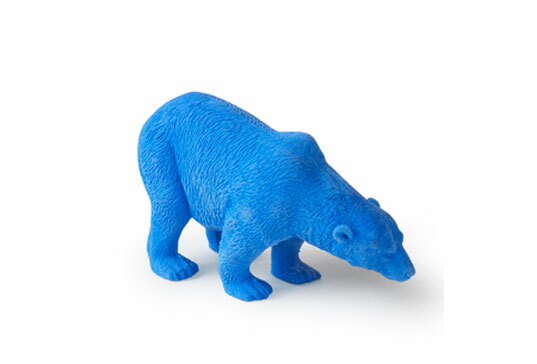 The creators at Kikkerland Design, of course, want these animals to stick around for awhile and hope to raise awareness for the endangered animals and to help the cause — 2 percent of the proceeds from sales will go to the Center for Biological Diversity. If you’re kids are in on the Japanese puzzle eraser craze, these the endangered species might pull them away and you’ll be happy that they’re eco-friendly. The long-lasting erasers are made from PVC-free thermoplastic rubber. Hopefully the animals will be just as long-lasting in real life. Now there are only 700 mountain gorillas, less than 15,000 rhinos and a declining population of polar bears struggling to survive in a shrinking ice habitat. Rhinos, polar bears and gorillas are all endangered species thanks to hunting and the destruction of their natural habitats. So what better way to bring attention to these vanishing animals than through Endangered Species Erasers, that like the real thing (if we can't put a stop to it), will whittle down to mere nothingness? Though, many kids will probably choose to play with these over-sized 2-inch tall erasers more like animal action figures than school supplies, keeping the true-to-form species in tact.